Those who control and run the Facebook-owned Instagram app are on another binge censorship spree, as yet another conservative-leaning page has had some of its content censored for supposedly violating Instagram’s “hate speech” guidelines. The comic in question depicted two women from an earlier era discoursing about slavery – the one defending the right to own slaves, and the other arguing that it violates basic human rights. The same comic later depicted two modern women discussing abortion using similar language – the purpose being to highlight the logical acrobatics that supporters of abortion have to engage in to try to defend their dehumanization of the unborn. There was nothing hateful in the comic, nor did it encourage any type of violence, vandalism, or theft. And yet Instagram tagged it as doing all of these things, thus warranting its removal from the social media platform. “This is the third time a Facebook property has tried to silence me without any justification,” Ford told PJ Media in a recent statement. For more related news, be sure to check out PoliticalCorrectness.news and Censorship.news. 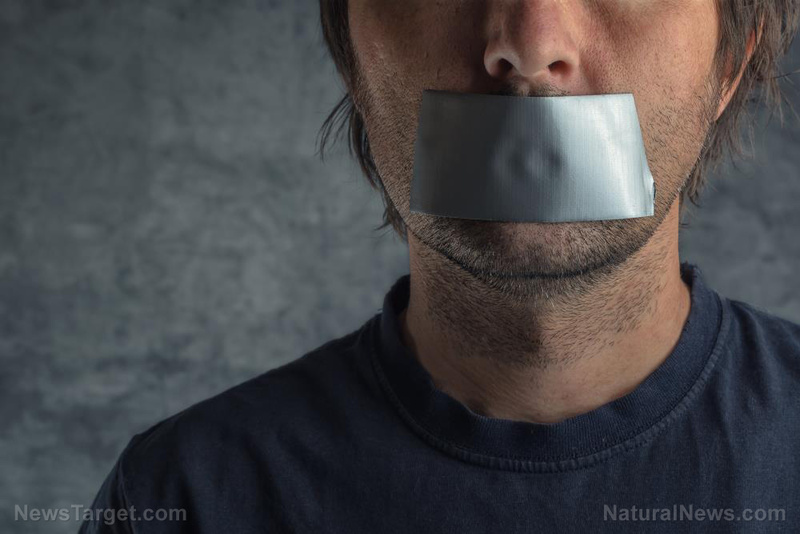 While it’s no secret to Natural News readers that Big Tech is censoring left and right all online content that it finds “offensive,” this targeting of pro-life content is a somewhat newer development that would appear to coincide with Americans’ growing support for protecting unborn life still in the womb. “I don’t think the timing of this [ban] is coincidental,” Ford says. In other words, increasingly more Americans are having their eyes opened to the pro-death leanings of the Democrat Party and Leftism at large, which claims to “March For Our Lives” whenever there’s a potential opportunity to ban guns and eliminate the Second Amendment, but that screams “reproductive rights!” whenever the conversation veers towards opposition to abortion, and more recently infanticide – and the Tech Cabal doesn’t like any of this one bit. So, in typical Left Cult fashion, the string-pullers of online speech are working overtime to stamp out the First Amendment under the guise of combating “hate speech” – which, it’s once again important to point out, has no real meaning. “With abortion being such an active conversation right now, you’d think the social media companies would be on high-alert to not be censoring legitimate viewpoints,” Ford further commented. Keep in mind that it’s not just free speech that’s being censored, but also online popularity. Right after Unplanned had its debut in theaters, as one example, Twitter suspended the film’s official page for no reason – only to reinstate it with nearly 100,000 of its former followers missing. Beautifully, this attempted censorship actually had the opposite effect, as media outlets that covered the scandal helped to bring in more supporters for Unplanned than ever before. The film’s Twitter page also gained so many new followers in the aftermath of all this that it’s now more popular than Planned Parenthood’s official Twitter page. To view more of Adam Ford’s “controversial” comics that Big Tech is classifying as “hate speech,” visit Adam4d.com.